Man may be considered as having a twofold origin – natural, which is common and the same to all – patronymic, which belongs to the various families of which the whole human race is composed. 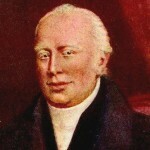 Adam Clarke was a British Methodist theologian and biblical scholar. He was born in the townland of Moybeg Kirley near Tobermore in Ireland. He is chiefly remembered for writing a commentary on the Bible which took him 40 years to complete and which was a primary Methodist theological resource for two centuries. That commentary, published as: "The New Testament of our Lord and Saviour Jesus Christ. The text carefully printed from the most correct copies of the present Authorized Version. Including the marginal readings and parallel texts. With a Commentary and Critical Notes. Designed as a help to a better understanding of the sacred writings. By Adam Clarke, LL.D. F.S.A. M.R.I.A. With a complete alphabetical index. Royal Octavo Stereotype Edition." In six volumes of approximately 1,000 pages each "New York, Published by J. Emory and B. Waugh, for the Methodist Episcopal Church, at the conference office, 13 Crosby-Street. J. Collord, Printer. 1831. ", may be the most comprehensive commentary on the Bible ever prepared by one man. By himself he produced nearly half as much material as the scores of scholars who collaborated on the twelve-volume The Interpreters’ Bible.